to foster professionalism and communication among those responsible for operating and maintaining distribution systems. Among its many activities, the Distribution System Committee contributes relevant articles for publication in the Section Magazine. 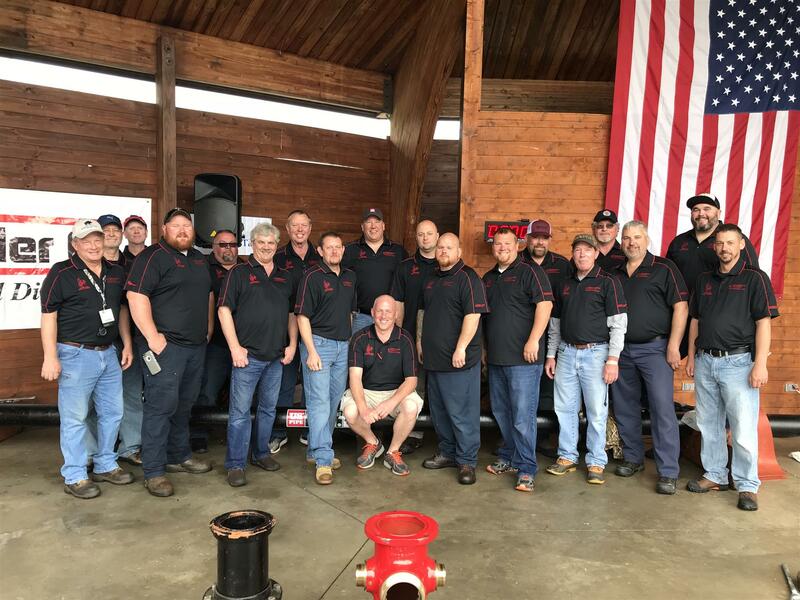 Each April, the committee holds the highly successful Distribution Seminar and Utility Rodeo, which draws over 30 vendors and approximately 250 attendees. Started in 1989, this three-day conference includes the widely popular Utility Rodeo, in which individuals and teams participate in the skill-based events of Buried Treasure, Meter Madness, Splish Splash, Hydrant Hysteria, and Rapid Tappin'. 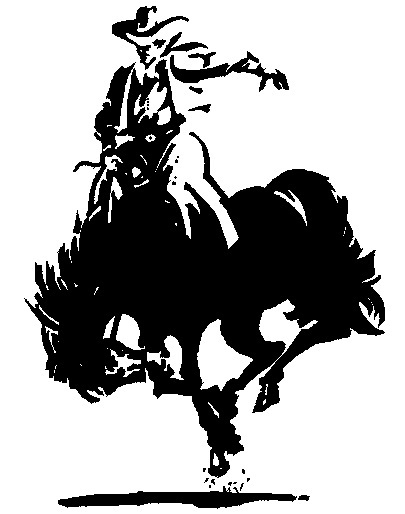 Current Rodeo Event Rules are maintained on the committee web page, and as always you can contact the committee chair with any questions about the events or the committee. In addition to the Rodeo, the Committee holds a one-day seminar in the fall that focuses on topics that are relevant to Maintenance and Operation of a Distribution System and are geared towards field level and supervisory staff. Buried Treasure Event: Contestants trace a buried cable with conventional locating equipment. The competition area consists of a hub and a series of strings arranged in a 30-foot diameter "wheel spoke" pattern. The buried wire may cross some or all of the strings and may cross a string more than once. Contestants have 5 minutes to set up and locate and record their results. Contestants are required to mark the location of the wire at each string crossing, using a flag and to measure the distance from the hub to each flag. The contestant with the lowest accumulative difference plus any penalties will be declared the winner. Rapid Tapin' Event: Teams make a pressurized main tap and service connection. Each team consists of a Captain, Copper Person, Crank Person, and Star Person. Penalties for leaks or safety violations add to overall time to complete the event, and best time wins. Splish Splash Event: Contestants repair a 3/4" copper service line under pressure. You just might get wet if you get too close to this event! Penalties for leaks add to overall time to complete the event, and best time wins. Meter Madness Event: Contestants assemble a 5/8" meter from a bucket of parts, which will also contain unrelated items. Penalties for leaks or improper assembly add to overall time to complete the event, and best time wins. Each competitor is allowed two runs, using a new meter. The O-ring and tamper resistant pin is typically omitted in the competition. Hydrant Hysteria: Teams must reassemble a dry barrel hydrant from the shoe up in the fastest time possible. Penalties are assessed for operational failure, missing parts, and safety violations. Teams consist of two assemblers and a coach. 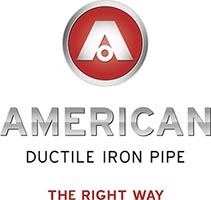 The winning team will represent Virginia in the National Hydrant Hysteria Event held at ACE. Best of Virginia Taste Test: A panel of judges will sample water from participating utilities and will score the contestants based on four categories: Clarity, Odor, Flavor, and Aftertaste. The winner of this event will represent Virginia in the Best of the Best Taste test competition held each year at ACE.